The governor of Imo State maintains that the National Youth Service Corps (NYSC) has run its course and government needs to forget it and find new avenues to unite the country instead. Governor Rochas Okorocha, speaking at the 50th anniversary lecture of the Ahmadu Bello University (ABU), Zaria in Kaduna State said the NYSC scheme had outlived its usefulness. “The NYSC was set up to promote unity but that has failed, so we need to look into other areas to improve the quality of education for our youths’ he said. Okorocha also advocated that specialised schools like the Law School is created in all fields of study to equip students with practical skills to fit into the modern society. “It is worrying that some of our graduates cannot read or write but if they attend specialised schools after graduation they can have more practical skills than theoretical,” he added. He said exposing graduates to further practical skill acquisition would also help government to find the placement of universities on the scale of excellence. “We should stop grading universities by age but by specialisation which can be achieved through exposure to other graduates in a post-graduate school,” he added. The governor also suggested that if universities considered alternative sources of funding they would not necessarily rely on government for revenue all the time. “Universities can set up farms to produce food and technology firms to bid for contracts to increase internal revenue,” he said. 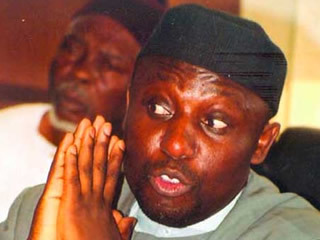 Okorocha also wanted universities to look into the bloated number of staff to save costs and asked the Academic Staff Union of Universities (ASUU) to co-operate with university authorities to survive by reducing consistent demands for wage increases and allowances. “Most universities have a huge number of non-academic staff and other non-essential staff coupled with adjunct teachers that are a drain on the resources of universities. ASUU should do more than just plan for strikes over the least problems. They should engage university authorities on ways to save costs,” he said.